What is environmental history? It is a kind of history that seeks understanding of human beings as they have lived, worked, and thought in relationship to the rest of nature through the changes brought by time. In this new edition of his seminal student textbook, J. Donald Hughes provides a masterful overview of the thinkers, topics, and perspectives that have come to constitute the exciting discipline that is environmental history. He does so on a global scale, drawing together disparate trends from a rich variety of countries into a unified whole, illuminating trends and key themes in the process. Those already familiar with the discipline will find themselves invited to think about the subject in a new way. This new edition has been updated to reflect recent developments, trends, and new work in environmental history, as well as a brand new note on its possible future. Students and scholars new to environmental history will find the book both an indispensable guide and a rich source of inspiration for future work. J. DONALD HUGHES is John Evans Distinguished Professor of History at the University of Denver, Colorado. This new edition has been updated to reflet recent trends and new work in environmental history, as well as a brand new note on the possible future of the field. "Anyone seeking help in navigating the shifting shoals of environmental history will give fulsome thanks to Don Hughes for this book. It is far and away the best guide yet to the issues and historiography of this emerging field, spanning the globe and delving into the deep as well as recent past." 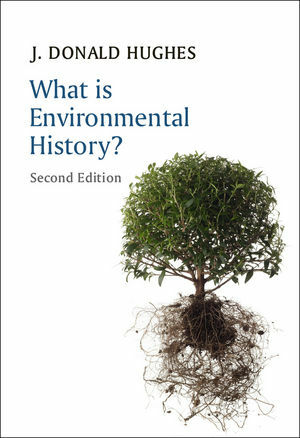 "What is Environmental History? is a masterfully condensed overview of one of the most urgent and rapidly developing fields of history. Written by a scholar of classical antiquity, it gracefully covers ancient, medieval, and modern periods – with a global vision. A state-of-the-art report for any scholar, and a perfect introduction for the student."